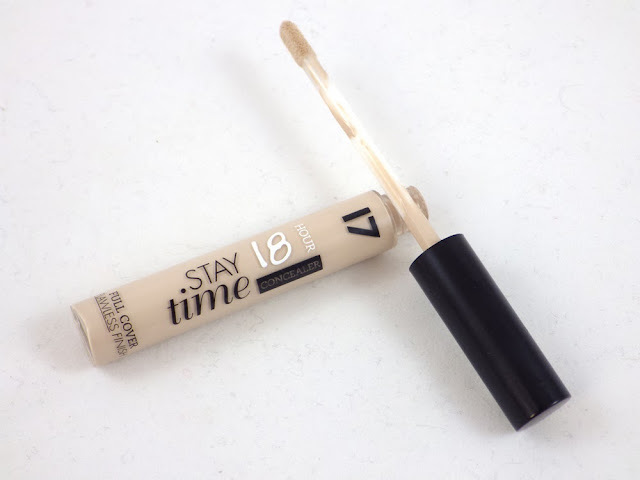 Move over Collection Lasting Perfection Concealer, there's a new favourite concealer in my makeup bag that I'm using every day - the Seventeen 18 Hour Stay Time Concealer in Extra Fair. I bought this after Kate from Gh0stparties raved about it on her blog and recently mentioned it in My Favourite Makeup Discoveries of 2013 post without having done a full review. Here's why I love it so. First of all, the shade Extra Fair is the absolute perfect match for my super pale skintone. The formula has a fairly thick, creamy consistency and this paired with the shade, means it blends fantastically and looks very natural. I use it on both blemishes and dark circles and it works really well on both. 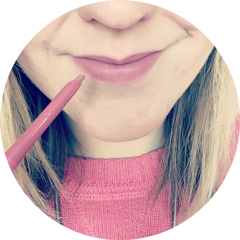 The thick consistency does mean it has a tendency to settle into fine lines, however it doesn't dry out the skin or go cakey halfway through the day. I wouldn't say it lasts 18 hours, however it lasts at least 8 hours on me. I prefer this to Collection's offering mainly because of the shade - the Collection one is a little more orange toned, which it makes it harder to blend and doesn't look as natural. 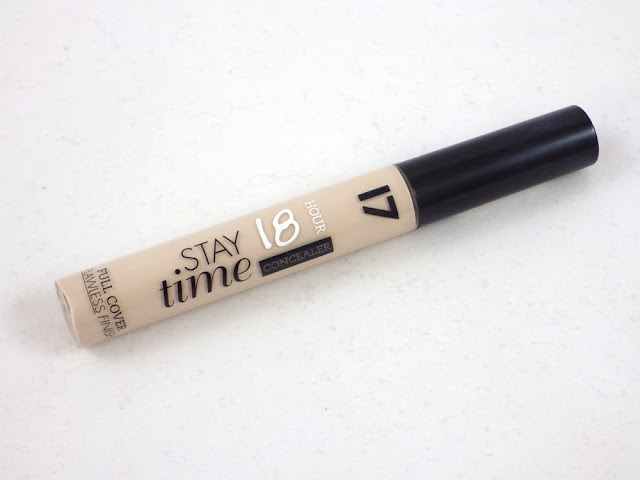 I would say that the formula of Seventeen's is thinner in comparison to Collection's, so I will keep the Lasting Perfection Concealer when I feel I need something a little more heavy duty, especially for dark circles. However I think for the time being, Seventeen 18 Hour Stay Time Concealer will be daily choice for natural coverage. 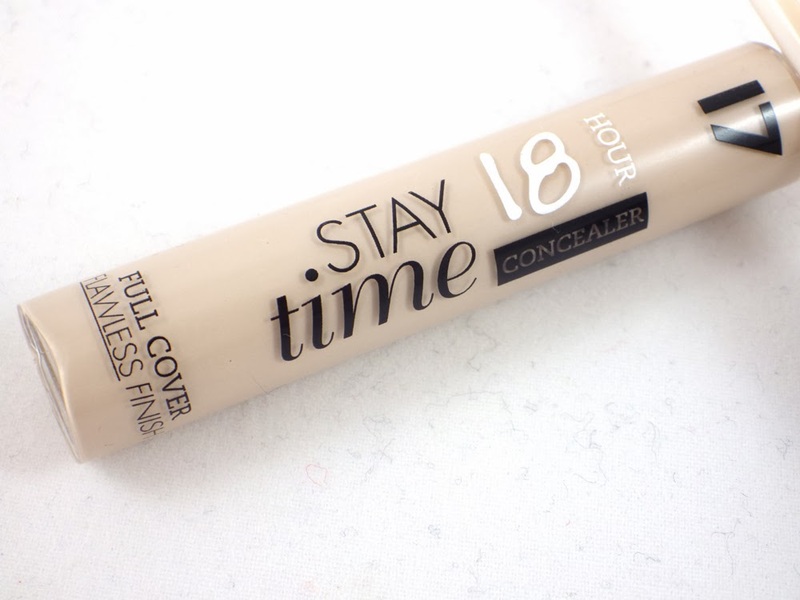 The Seventeen 18 Hour Stay Time Concealer is £4.49 and can be purchased from Boots, although it doesn't seem to be on their website for some reason! Have you tried this concealer? What's your current go to for natural coverage? This sounds like a great budget buy! !